Site specific public art project Peace Wall is a series of projects that reflects social and economical differences in modern cities.The project started with a public art project – building a wall (12×5 m) over Friedrichstrasse in Berlin’s­ Kreuzberg. doesn’t re­fer to the historical Berlin Wall, but to the social segregation in this area of Berlin, where the gentrification and fast economic development has created sharp social differencies on the South and North side of Friedrich Strasse – a divide of the communitys’ social structure. and the New Wall documentation is a documentary film that follows the happenings around the Peace Wall public art project. 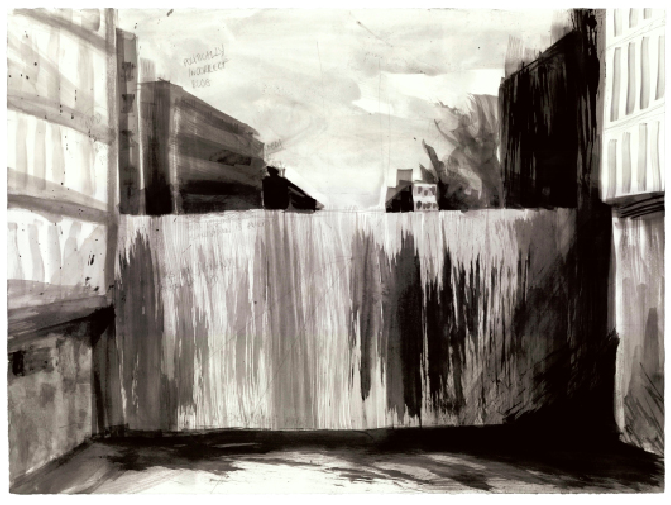 For now, the project consists of: a set of drawings, the public art project, installation and a documentary film. Drawings, set of 33 drawings, ink on paper, various sizes (between 10×12 cm to 50x70cm). 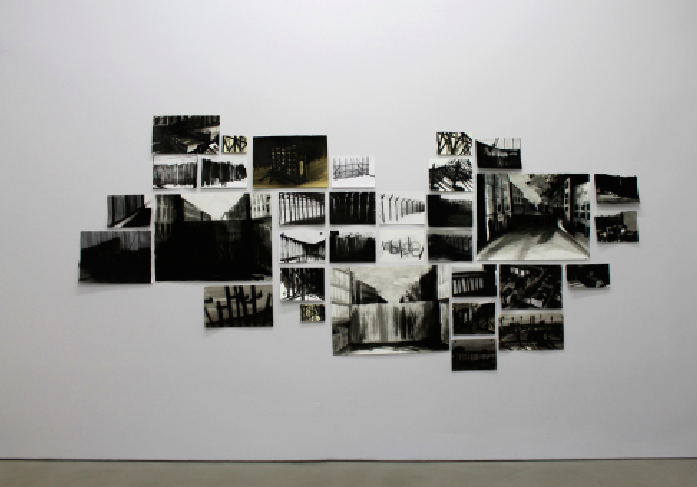 exhibited as part of Group exhibition Contested Territories at Dorsky Gallery, New York and as part of Group exhibition Imagined Communities at Golden Thread Gallery, Belfast, North Ireland. See more..
set of 33 drawings, ink on paper, various sizes (between 10×12 cm to 50x70cm).